Michele L. Babcock is the Managing Partner of the firm. Michele joined Jacobowitz and Gubits, LLP in 2003, and became a Partner in 2011. Michele has represented local governments, municipal officials and private applicants in zoning, land use and environmental permitting and in litigation. 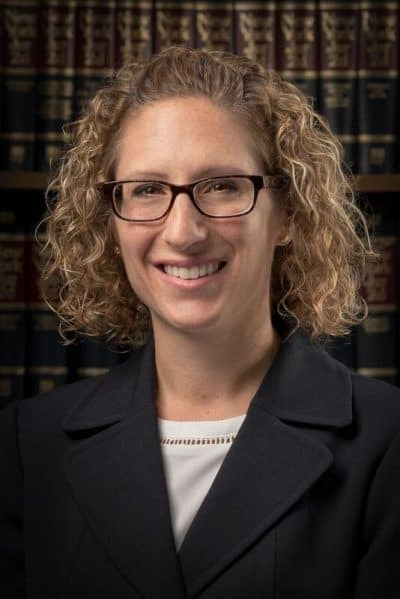 Ms. Babcock was admitted to the New York State Bar in March 2004, and is a member of the New York State Bar Association and the Women’s Bar of Orange and Sullivan Counties. Ms. Babcock received a Bachelors of Arts in Political Science and a concentration in Law and Justice from the State University of New York at Cortland in 2000. She earned a Juris Doctor degree and graduated from Hofstra University School of Law in 2003. While attending law school, she studied at the Faculte de Droit de I’Universite de Nice with the Hon. Ruth Bader Ginsburg, United States Supreme Court Justice. Ms. Babcock is on the board of the Hudson Highlands Nature Museum. She is a graduate of the Class of 2018 for Leadership Sullivan.